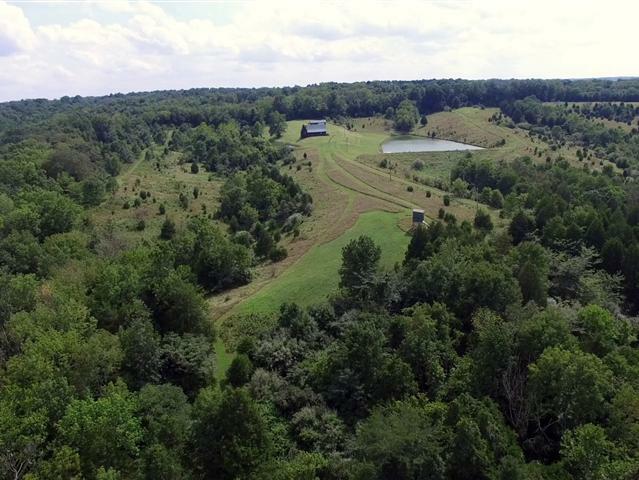 A HUNTER’S DREAM – 91 ACRES! Hunter's dream property w/great potential! The ultimate in privacy and views. Classic log cabin perched on the ridge deep into this wooded 91 acres with great ponds on both sides. Several hunting stands, paths through the woods, lots of road frontage. Great for 4 wheelers or horses! Food plots, natural grasses and more to improve hunting potential. Septic pumped 2 years ago. Metal roof 3 years old. 3500 gal cistern. Cell tower alarm system. Call Kathy or text RBBHWTH to 52187 for more information.